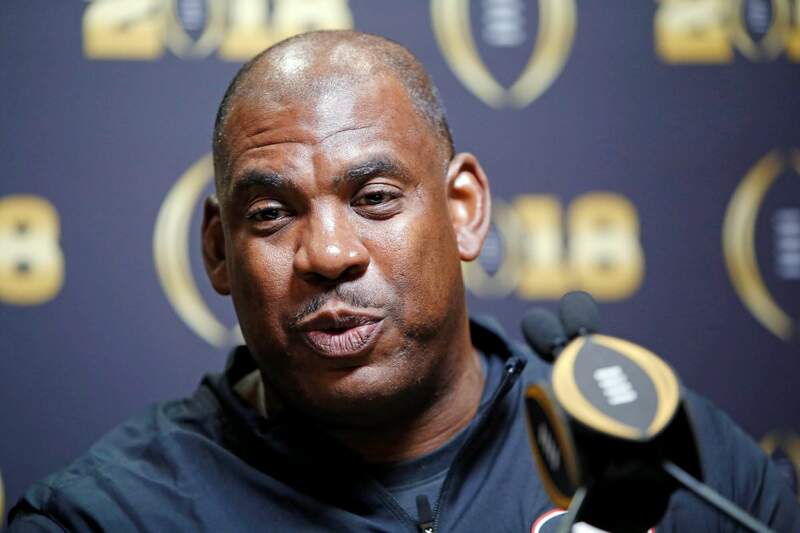 Mel Tucker, who has spent the last three years as the defensive coordinator and secondary coach at the University of Georgia, has been named the 26th full-time head football coach at the University of Colorado, athletic director Rick George announced Wednesday. BOULDER — Mel Tucker doesn’t shy away from setting the expectations high. Tucker received a five-year, $14.75 million contract under a deal that’s pending approval from the board of regents. He will start immediately and won’t coach Georgia in the Sugar Bowl against Texas on New Year’s Day. The 46-year-old Tucker replaced Mike MacIntyre, who was fired with a game remaining in the season and the team mired in a six-game skid. The Buffaloes lost their final game under interim coach Kurt Roper to miss a bowl berth for a second consecutive season. After several stints as an NFL defensive coordinator, Tucker became an assistant head coach for Nick Saban at Alabama in 2015. He spent a season with the Crimson Tide — capturing a national title — before he followed coach Kirby Smart to Georgia to build a feisty defense. The Bulldogs lost to Alabama last weekend in the SEC championship contest and in overtime last season in the championship game. Tucker has never been a head coach on the collegiate level but has learned under some big names. He helped Ohio State and Jim Tressel to a national title as a defensive backs coach in 2002 and was brought on board by Saban on three different occasions. This won’t be the first time Colorado has hired someone without any previous collegiate head coaching experience. Tucker joins a list that includes such names as Dal Ward (1948), Sonny Grandelius (1959), Eddie Crowder (1963), Bill McCartney (1982), Rick Neuheisel (1995) and Jon Embree (2011). Especially with some of the talent he has returning, such as receiver Laviska Shenault, who earned all-conference honors after 86 catches for 1,011 yards and six TDs despite missing a few games with a toe ailment. There’s also quarterback Steven Montez, who threw for 2,849 yards. The Buffaloes started off with five consecutive wins before going into a tailspin that ultimately cost MacIntyre his job. MacIntyre was voted AP college football coach of the year after he led the Buffaloes to a Pac-12 South title and 10 victories in 2016. That was his only winning season at Colorado.